The visionary philosopher Ken Wilber (1974) proposed integral leadership theory while exploring the role of human consciousness at the individual level. Wilber gradually added more richness with complexity, comprehensiveness, trans-disciplinarity, and inclusiveness. In the 1990s, Wilber also noted that the Western empirical orientation of leadership was often rooted in the external and material world, with a heavy reliance on statistical measurement and analysis of behaviorally observable variables. Gardner et al. (2001) and McCall (2004) noted that many leadership models are handicapped by over-simplification and fragmentation. On the other hand, historically, the Eastern orientation and expectation of a leader tends to be more inward looking, reflective, and holistic (Gandhi, 1968; Gehani, 2011). Sometimes this is achieved at the expense of explicit direct measurement and experimental validation. Inclusion of the inner world provides the Easterners a more holistic and integral model of leadership (Erikson, 1969; DiSalvo, 2013; Gandhi, 1968). 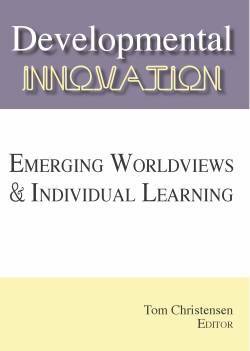 The Western thought leaders as American educator John Dewey, pioneer public thinker Mary Parker Follett, great scientist Albert Einstein, American psychologist William James, and noted observer Alfred North Whitehead, also urged a similar holistic approach. Mohandas K. Gandhi (1869 – 1948) from India is often referred all around the world as a Mahatma, or the Great Soul (Erikson, 1969). With a vow never to use violence or any other conventional weapons of mass destruction such as guns and grenades, Mahatma Gandhi’s biggest and main resource for his integral leadership strategy for a massive social movement was his heavy reliance on his own individual soul force, the collective soul force of Indian masses, and the freedom consciousness of the collective (Gandhi, 1983). This collective mainly consisted of mostly poor and uneducated masses of 360 million Indians with whom he completely identified. Gandhi grew up as a timid child, but he evolved as a genius at applying integral leadership by integrating the intangible internal and tangible external human resources of India. This took Gandhi 32 years of dialectic experimentation in India from 1915 to 1947. Earlier he honed his innovating experiments developing common people’s soul force for 21 years in apartheid South Africa from 1893 to 1914 (DiSalvo, 2013). In all these 50 + years of endeavors, while he was seeking social justice from tyrant oppressors, Gandhi was always the first one in front of his non-violent peace army, willing to sacrifice his own life and everything he possessed for his preferred integral mode of leadership (Erikson, 1969). With great conviction, Gandhi continually urged his fellow journeymen to become willing to lay their lives and make sacrifices to gain their sustainable freedom from over 190 years of colonial English influence and control since 1757 (Gandhi, 1983). Indians gained their freedom and independence on August 15, 1947, a little over 70 years ago, and just 5 months prior to Gandhi’s assassination in January 1948. Gandhi led India’s freedom movement and independence by mostly integrating non-violent internal – collective soul force (Erikson, 1969; Wilber, 2000b). If ever anyone wanted a vivid example of ‘We’ Inward-Collective integral leadership process to solve the tough problems of humankind in the 21st Century and beyond, it is available, and most richly endowed and illuminated with all its evolving multi-disciplinary complexities, in Mahatma Gandhi’s integral leadership. Unfortunately, this unprecedented success of Gandhi’s integral leadership is a paradoxical mixed bag. The unprecedented human success of Gandhi’s leadership by soul force could not deter mass murders of thousands of men, women, and children, and the violent looting that was unleashed during the rushed partition of the borders between India and Pakistan in 1947 (Gandhi, 1968). In addition, the freedom of India in August 1947 was followed 5 months later by the martyrdom of Mahatma Gandhi, the high priest of peace and non-violence, with three violent gunshots by a fellow Indian on January 30, 1948. Like all other days, Gandhi was on his way to a daily inter-religious communal prayer meeting at Birla House in New Delhi, the capital of independent India. The gunman first touched his feet for his blessings, and then pulled the trigger. The misguided gunman, and some others like him, blamed Gandhi for being too easy with the Muslims demanding partition of India (Gandhi, 1968). These important empirical observations raise the need for a critical re-assessment of the integral leadership theory proposed to resolve similar large complex wicked problems such as social justice, persistent poverty, terrorism, and violent oppression persisting in the 21st Century. This systemic exploration will help us generate some key lessons for future researchers and practitioners of integral leadership theory. This research study, therefore, is a qualitative case study in how integral leadership of Mahatma Gandhi, Time magazine’s most renowned world leader of the 20th century, evolved and developed over 54 years since 1893. This critical examination vividly illustrates the leadership development process and the challenges Gandhi faced in raising the levels of consciousness and soul force of the leader himself, as well as the consciousness of the collectives surrounding the leader in two countries, first in South Africa and then in India. To do so we must trace the evolution of Gandhi’s integral leadership from its nascent start in the heart and mind of a reluctant shy integral leader in 1893, to the culmination of a Great Soul who transformed human-kind and led to the fall of the colonial British Empire in India in 1947, and many other parts around the world since 1947. This will help us refine and extract 6 key paradoxical lessons for success with integral leadership following the footsteps of Gandhi. Finally, we will discuss implications for future researchers and practitioners of integral leadership theory proposed by Wilber (2000a; 2000b). As we will see later, even though these definitions may seem sensible in the context of conventional business enterprises under relatively static and controllable market conditions, many elements of these definitions need to be re-examined, tested, and revalidated for the integral leadership theory enriched by the inclusion of complexity, evolution, and trans-disciplinarity (Wilber, 2000a; 2000b). We must surgically slice open and re-examine the common assumptions we use underlying our understanding of the integral leadership model if we venture to apply this to resolve the big, complex, and dynamic problems such as climate change, poverty, and violent terrorism facing the world in the 21st Century. As the empirical evidence grew against the generalizability of inner trait-based and other leadership theories mentioned above, the behavior-based theory of leadership was developed (Gehani, 2013). This theory categorized leadership behaviors into (1) passive, (2) task-oriented, (3) relationship-oriented, and (4) change-oriented behaviors in organizations (Derue, Nahrgang, Wellman and Humphrey, 2011). Task-oriented leaders have been also referred as transactional leaders (Avolio et al., 1999). They may also be seen as passive leaders. 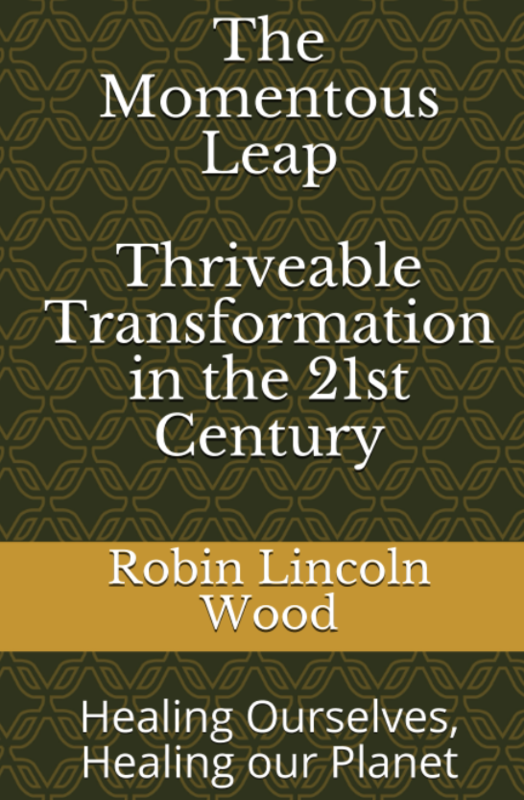 On the other hand, change-oriented leaders may be also called transformational leaders (Bass, 1998). They help raise the goal consciousness of their followers and inspire them to transcend their self-interests for the sake of their organizations’ bigger goals. Servant leaders may be relationship oriented as they genuinely care for the physical well-being as well as the mental growth of their followers. In the post-World War II era until the 1970s, situational contingency leadership with external orientation emerged as the need for leaders to help adapt to their environmental shifts becoming bigger and more frequent. Gehani (2013) noted that strategic leaders can help transform from low-cost to product differentiation. This postulates that different situations, internal or external, demand different types of leadership behaviors and traits. Gehani (2002) reviewed the various leadership member exchange (LMX) models and theories, which responded to the urgent need in the 21st century for developing mindful leaders (Gehani, 2011) to facilitate creativity and innovation. Unlike the servant leaders, the mindful leaders are not only aware of their dynamic internal personal and organizational situations, but they are also attentive to the dynamic and complex external environmental situations. Furthermore, they assimilate and integrate these internal and external conditions in the context of their ‘higher’ purpose and value-based goals. Wilber (1974; 1977) started building the Integral Leadership Theory (ILT) with his Spectrum of Consciousness perspective. Eventually this led to the Theory of Everything (Wilber, 2000a) and Integral Psychology Wilber (2000b). Along the way came the 4-quadrant AQAL (All Quadrants All Levels) model using two dimensions: individual – collective, and interior – exterior (or inward – outward) orientation. A number of researchers have explored and evaluated how Wilber’s integral leadership theory can be applied and practiced for a leader’s development (for example see Metcalf & Paluck, 2010; Myers & Groh, 2010). Leader development into a “Level-5” leader drawn from Jim Collins book Good to Great (2001) and individual developmental levels were the primary objectives of Metcalf & Paluck (2010). 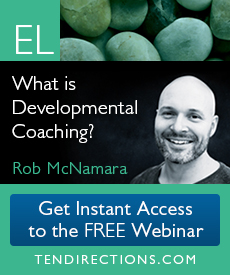 These researchers leveraged the story of “Jill” since childhood, and how she develops through 6 development stages of (a) Diplomat, (b) Expert, (c) Achiever, (d) Individualist, (e) Strategist, and (f) Alchemist. Her different internal characteristics such as focus, thinking, and defenses were discussed alongside her external characteristics such as interpersonal style, problem solving, and coaching style. Myers & Groh (2010) investigate strategic leader development at the U.S. Army War College (USAWC) for senior military officers and civilians with the goal to build their capability to target future complex issues in the context of the theory of war strategy. They highlight the development of conceptual, technical, and interpersonal skills for complex military – civilian relationships using networks, discourses, and experiential application of knowledge. Their curriculum uses Adaptive Planning Process with Deep Smarts. 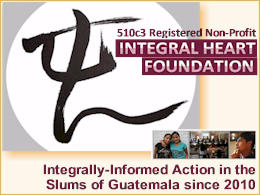 Integral awareness is a stage of development of actual human potential. If you are interested in integral, it is because you are at this stage of development. If you did it on your own, the primary characteristics that emerged are a comprehensiveness and inclusiveness. 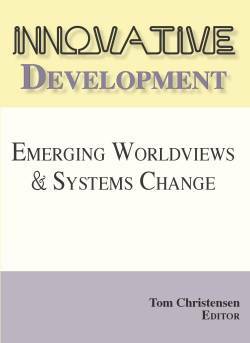 …This is not just about individual development, but it also is about how to apply integral to larger problems – community, worldwide, climate issues, economics; wicked problems global in nature. …Think with enough complexities to start addressing these global issues. This qualitative research investigation responds to Wilber’s clarion call by seeking, dissecting, and learning lessons from the 20th century’s most prolific integral leader Mahatma Gandhi. Gandhi faced a wicked problem in the first half of the twentieth century. He returned from South Africa to India in 1915 initially to help reform the unjust social laws enacted against colonized Indians by oppressive British colonists (Gandhi, 1968). Gradually, his mission became increasingly comprehensive with the inclusion of the need for economic self – reliance, inter-religious tolerance, and social equity between the upper caste and lower caste Indians. In the age when violence and brute force were the widespread preferred modes around the world, Gandhi persistently chose to use non-violence and the soulful integral way. His phenomenal success, however, was mixed as he had to lay his own life to violence, and he saw widespread senseless blood shed during the rushed partition of India and Pakistan in 1947. The rest of this research study reviews Gandhi’s non-violent revolution for freedom through the lens of integral leadership theory. Mohandas Gandhi is considered the world’s most renowned and popular revolutionary ‘Person of the Century’ in 2000, but he was not born with the ‘Great Man’ leadership traits (Erikson, 1969; Brown, 2010; DiSalvo, 2013). He took more than 54 years to evolve since 1893 to raise his and others’ consciousness and soul force to attain India’s independence without any guns or grenades. Moreover, near the end of his life, Gandhi felt that he had failed to inspire many Indians from not resorting to violence instead of non-violence to reconcile their differences (Gandhi, 1968). Given below is a re-examination of Gandhi’s long journey in the context of the four AQAL quadrants of Wilber’s (2000a; 2000b) model for integral leadership theory. Mohandas Karamchand Gandhi was born on October 2, 1869 in the seaport city of Porbander. It is on the shores of the Arabian Sea in the western state of Bombay in India, and at the time of Gandhi’s birth was under colonial British rule since 1857. Mohandas grew up in Rajkot, Gujarat in a Jain family with very strong adherence to non-violence. Mohandas’s father was the Prime Minister to the King of Rajkot. As a child, Mohandas was so shy and timid that he could not muster courage to speak with his classmates before or after his classes, or stand up to bullies (Erikson, 1969). Mohandas’s family sent him to England to study law (Erikson, 1969; DiSalvo, 2013). After 4 years Gandhi successful passed his bar exam and planned to promptly return back to British occupied colonial India. For his farewell party in London, Gandhi prepared a speech about his experiences in England, but when he stood up to speak, his body started shivering with nervous anxiety. He sat down embarrassed without saying a word. Back in India, Mohandas Gandhi was glad to reunite with his childhood wife, but he could not find any legal case in his hometown Rajkot, Gujarat. When he tried to practice law in bigger metropolitan city Bombay, he could not reconcile that his sole client had hired him to extract an unfair verdict (Gandhi, 1968; Gehani & Spears, 2009). In 1893 Gandhi’s family sent Mohandas temporarily for about 3 months to South Africa to help contest the pending case of a Muslim family friend (Erikson, 1969; Gehani & Spears, 2009). Gandhi left behind his wife Kasturba and two young sons. They did not realize that their temporary 3-month plan in South Africa would stretch into a 21-year journey of Gandhi developing his innovative integral leadership strategies based on collective soul force and consciousness in Indian settlers in South Africa. Barrister Gandhi arrived in South Africa in the port city of Durban in Natal province (Gandhi & Spears, 2009). The client’s lawsuit was to be tried in the interior city of Pretoria in Transvaal province, a 5-day journey by train. The most transformative event of Gandhi’s life took place in the first-class coach during his 5-day train journey from Durban to Pretoria. When Gandhi’s train stopped at midnight in Maritzberg, a white South African passenger boarded the train and vehemently objected to the presence of ‘colored man’ Gandhi in his first-class compartment (Erikson, 1969). Even though the well-dressed Gandhi showed his first-class ticket, two train officials insisted Gandhi “to move where he belonged” in the third-class compartment. When barrister Gandhi objected, a police officer was called, and he threw the London-educated barrister and his belongings to the station platform. There Gandhi shivered alone through the chilling night with humiliation. Between the midnight and the dawn, Gandhi seriously pondered about immediately returning to India to avoid any such humiliating insults again (Gehani & Spears, 2009). Then he resolved that instead of accepting his defeat, he would do something concrete to work towards reforming unjust discrimination of thousands of Indians living in South Africa. Gandhi was bullied again on his onward journey in a stagecoach buggy. This time Gandhi stood his ground, and reaffirmed his resolve (Erikson, 1969). He had awakened his internal – individual leadership resolve and soul force. Gandhi filed a lawsuit against the South African railroad company for unfair treatment of the lawful ticket-buying Indians (DiSalvo, 2013; Gehani & Spears, 2009). Gandhi worked hard on his lawsuit and persisted against all obstacles. His efforts paid off, and he won a small concession from the South African railroad company. The management agreed to continue to sell Indians first-class and second-class tickets provided they were well dressed. A committee of Indians living in South Africa was organized by Gandhi to coordinate their additional efforts against a number of racist and discriminatory legislations in Natal province (DiSalvo, 2013). He drafted a petition meticulously citing supporting English laws of suffrage (Gandhi & Spears, 2009). His committee members traveled from village to village to gather more than 10,000 signatures they needed from the 50,000 Indians living in the Natal province. Gandhi also made 1,000 copies of their signed petition and mailed these to every major newspaper in the British Empire worldwide. Some international newspapers published Gandhi’s unprecedented petition and its outcome (DiSalvo, 2013). The Colonial Office in London sided with Gandhi’s petition, and ruled that the government on one side of the British Commonwealth Empire could not discriminate against the citizens of other colonies of the Commonwealth. The London office vetoed the Natal Assembly bill for racial discrimination of Indians in South Africa. The Natal Assembly modified their discrimination bill with a ‘Grandfather clause’ to deny Indians their rights (DiSalvo, 2013). This was a minor mixed victory for Gandhi that emboldened him and his followers to continue on their onward journey for justice and human rights. This small ethical victory emboldened Gandhi still in his early 20s. He was ready to challenge more pervasive collective injustices. In 1894, on his trip home to Rajkot, Gujarat, to bring his wife and two young sons to South Africa, Gandhi wrote a detailed pamphlet on the inhuman conditions of Indians living in South Africa. This pamphlet sold 20,000 copies (Gehani & Spears, 2009), and made Gandhi popular and more widely known in India and other parts of the British Colonial Empire. However, this angered the prejudiced leaders, administrators, and residents of South Africa. Gandhi, his wife, and two young children were threatened that they would be mobbed if they returned to South Africa. In Durban, Gandhi disembarked his wife and kids separately. When he landed he was pelted with rotten eggs and bricks, and a mob chased Gandhi through the streets of Durban (DiSalvo, 2013). He was kicked and beaten until he fainted. The wife of the police superintendent of Durban, who supported his cause, saved him. (Gehani & Spears, 2009). Gandhi started developing his integral leadership strategies for broader collective good. He combined his struggle for social justice with self-reliance and started the Phoenix Farm near Durban to support poor Indians in South Africa. In 1906, when the apartheid South African government enacted new racist laws to discriminate against Indian settlers, Mohandas Gandhi and his associates organized non-violent protests. However, when World War I broke out, Gandhi dropped all his protests against the apartheid government to organize and operate an Emergency Ambulance to help all wounded British and South African soldiers (Gehani, 2009). The British government gave Gandhi a Medal of Honor for his patriotic services. After repeated invitations from some prominent Indian leaders, in December 1914, after a 21-year extended stay in South Africa, now 45-year-old and wiser Mohandas Gandhi boarded a ship to Bombay to return to India with his wife and four children (Brown, 2010). At first Gandhi spent many months traveling to distant parts of India to reacquaint himself and study the challenges of the Indian collective under harsh and oppressive colonial British rule (Brown, 2010). Gandhi discovered that the leaders of the Indian National Congress used the organization as a pastime for the rich and the elite of India to protect their own material interests (Gehani & Spears, 2009: 29). These leaders were still stuck in their AQAL quadrant-1 type ‘I’ leadership mode (Wilber 2000b). Gandhi recognized that it will take him a few years and a lot of persuasive power to transform the masses of Indians and their leaders into AQAL quadrant-2 type ‘Our’ leadership mode. In 1918, Gandhi took leadership of his first major endeavor in colonial India to mediate in a labor dispute between a few rich English and Indian mill owners and thousands of impoverished workers of Ahmadabad textile mills (Gehani, 2009). He listened to both the sides and helped converge their differences so that they agreed on a win-win partnership with a pledge that either side would not resort to any violence. This resolution respected the interests of both parties and strengthened them for future growth and prosperity (Brown, 2010). Contrary to his cordial relationships with Muslims in South Africa and India in the past, Gandhi noted a raging mistrust between Hindus and Muslims in different parts of India. He saw this as a major challenge for integrating the Indian collective. In 1919, he worked with Muslims to support their Khilafat movement, and helped breach this collective inter-religious mistrust (Gehani, & Spears, 2009). Until then Gandhi was primarily a supporter of the British Government’s rule in India. He was trying to facilitate minor incremental reforms by negotiating with British colonists to gain some equitable human rights and social justice for Indian masses. However, as Gandhi called for united Hindu-Muslim non-violent protests against the British colonists’ oppressive exploitation, some British colonists unleashed disproportionately aggressive violence against the joint peaceful protests (Brown, 2010; Erikson, 1969). Then came Gandhi’s next transformational experience which evolved him from AQAL quadrant-3 ‘Our’ Exterior – Collective integration to the quadrant-4 Interior – Collective integration. On April 6, 1919, a group of approximately 15,000 Indians gathered in an enclosed Jalianwalla Park in Amritsar in the North Indian province of Punjab to celebrate the start of their regional Baisakhi Spring harvesting festival season. This meeting outraged the city’s British police Chief General Dyer, who saw it as a violation of his orders the night before that very few Indians were made aware of. Dyer entered and blocked the only entrance to the park with a group of armed soldiers and two armed vehicles, and without giving any warning, they started shooting at the unarmed Indians gathered in the park for a joyful event (Erikson, 1969). Within a few minutes, almost 600 helpless and unarmed men, women, and children were slaughtered. More than 1,200 innocent Indians were wounded (Brown, 2010; Erikson, 1969). The British government undermined the Amritsar massacre and tried to suppress this news from spreading from Amritsar to other parts of colonial India under British control. When Gandhi finally received the censored news about the Jalianwalla Park massacre of innocents, and that the British Government in London did not condemn the brutal actions of General Dyer, Gandhi cried and for the first time realized the true inhumane nature of the British colonists ruling India in the first quarter century of 1900s (Brown, 2010; Erikson, 1969). This took his integral leadership strategy inward and raised his consciousness level higher. He intensified his non-cooperation protest efforts to more personal and broader levels. In 1930, Gandhi masterminded one of his most innovative integral leadership strategies to protest against the colonial British government’s restrictive laws and excessive increase in taxes on salt. Gandhi trained, strengthened, and tested the soul power and consciousness level of his 79 strongest and most devoted supporters at his Sabarmati Ashram near Ahmadabad in Western India (Brown, 2010; Erikson, 1969). He announced that together they were going to walk 240 miles from Sabarmati Ashram to Dandi salt-works on the shore of Arabian Sea. There at dawn, 6:30 AM Gandhi and his non-violent peaceful protesters would openly make salt to break the British colonial government’s unjust laws on making salt and unfair excessive salt taxes. Gandhi symbolically chose salt as it was the most basic requirement for the millions of poorest and starving Indians of all religions and economic classes. Salt laws and taxes made the unjust British Colonial laws a comprehensive and inclusive Quarter-4 ‘Interior-Collective’ integration issue. Gandhi urged millions of Indians in other parts of the country to do the same and break British imposed salt laws (Brown, 2010; Erikson, 1969). During the 24-day journey from the banks of Sabarmati to the seashore of Dandi, Gandhi and his band of supporters walked during the early morning hours in summer heat and held meetings in the evenings in nearby villages. Thousands of more Indians joined the original band of Gandhi and his 79 peace marchers. On the pre-announced day of April 6 in Dandi, Gandhi and the unharmed peace marchers were greeted by armed policemen and hit with metal tipped sticks on their heads and bodies, till they fell or fainted. The protesters’ bodies were carried away by the police officers to prisons. The fallen non-violent protesters were immediately replaced quietly by more rows of peaceful volunteers. This eerie inhuman brutality continued until the dark hours of the evening, when all the police officers became too exhausted to raise their hands to beat the unending rows of protesters. The whole world was shocked by the news and images of British brutalities. Gandhi and more than 60,000 other fellow Indians were arrested and thrown into jail for punishment by the colonial rulers (Brown, 2010; Erikson, 1969). In 4 years since the Dandi Salt March, Gandhi became frustrated with the lack of support he received by other major leaders of the Indian National Congress party for a national non-violent peace movement. Gandhi quit the party in 1934. He redirected his efforts and integration strategies to focus on the economic self-reliance of villages, in order to revitalize the masses of Indians living there (Gehani & Spears, 2009:31). Gandhi promoted making and using of only indigenous hand-spun and hand-woven cotton yarn and clothes (Brown, 2010). Sanitation, cleanliness, and eradication of caste-based untouchability were promoted to strengthen the collective trust and inter-dependence among all classes of Indians. In 1935, the British colonial rulers tried to create a rift in the Indian collective by separately stratifying the Hindu, Muslim, Sikh, Untouchable, and other electorates, and making them vote separately for their separate candidates. As anticipated, some individuals launched their own narrow and parochial political parties. Former Muslim congress leader Mohammed Jinnah launched his new Muslim League party to contest against Indian National Congress representing all Indians. Jinnah often incited his followers to resort to violence, in order to support his claims for splitting a new independent state apart from India (Brown, 2010; Erikson, 1969). Many untouchables formed their own party and a leader of their own to negotiate favors. Gandhi could no more sustain his integral leadership of peaceful protest movement for the independence of a united India (Gehani & Spears, 2009). As the World War II broke out in Europe, the British colonial government appealed to Indians for their support of war supplies and voluntary manpower to fight against the fast approaching forces of Imperial Japan. Gandhi launched a re-invigorated Quit India movement until the British colonists agreed to give Indians more autonomy after the end of World War. Gandhi objected India’s support. Indians contributed 2.5 Million voluntary soldiers to strengthen the British forces and help the Allies (Brown, 2010; Erikson, 1969). The Allies including Britain, France, the United States and Russia won the World War II in 1945. As a more sympathetic Labor Party took control in the British Parliament, the British colonial government promised that they would leave India no later than June 1948. Jinnah and his Muslim supporters resorted to widespread violent riots for their own independent state. Gandhi could not control the chaos. The British parliament passed the Indian Independence Act of June 1947 based on a religion-based partition, and then rushed the massive division of the nation 10 months earlier to August 15, 1947 (Gehani & Spears, 2009). Mayhem broke lose. Millions of Hindus living in the Muslim-dominating parts in Punjab and Bengal provinces tried to rush to India, and the Muslims living in different parts of India tried to rush to the newly established East and West Pakistan. There were sporadic violent clashes against the two helpless group of people, often escalating into senseless massacres of more than 500,000 in the border areas of Punjab and Bengal (Gehani & Spears, 2009). Gandhi, the messiah of peace and non-violence, watched the bloodshed with disbelief and pain. Gandhi could not enjoy India’s freedom and independence as it had come with the heavy price of the nation’s partition and senseless violence (Gehani & Spears, 2009). To stop the senseless violence, the 78-year-old frail Gandhi went to the riot-hit regions in Bihar and Bengal and started an endless fast until death or until the Muslim – Hindu violence stopped. The violence ended in September in the near vicinity of Calcutta only (which bed-ridden Gandhi did not know), and the Mahatma agreed to end his fast. Gandhi refused to take any leadership role in the newly formed government of free Indians under the leadership of Prime Minister Jawaharlal Nehru and Deputy Prime Minister Sardar Vallabh Bhai Patel (Gehani & Spears, 2009). On the Midnight of August 14-15, while the power was being transferred from Britain to India at Red Fort in Delhi, Gandhi was fasting and praying for a peaceful future of India and Pakistan. And does not let pride into his mind. O Vaishnav, your mother is blessed. On January 30, 1948, as Gandhi was walking to the evening prayer meeting an Indian zealot touched his feet to seek his blessings, and then shot him point-blank three times in the chest. The high priest of non-violence fell calling out “Ram, Ram, Ram” just before his life ended with violence that he worked so hard against all his life. Gandhi has been called Father of the Nation during his lifetime, and since then. However, he used to lament that instead of garlanding his picture, he would be happier if his followers would follow his principles of peace, non-violence, and tolerance towards all (Gehani & Spears, 2009). After Gandhi’s violent death, one of his close followers Vinobha Bhave launched a nation-wide non-violence movement whereby hundreds of large landowners donated some of their land to thousands of land-less farmers. Unfortunately, Gandhi’s dream of self-sufficient villages and self-reliance for all Indians never materialized or took any roots. In the past few years in the 21st Century, several thousand Indian farmers have been committing suicide because they could not repay their bank loans and support their families with farming. Gandhi, however, has inspired millions of people all over the world in the past 70 years. It’s my pleasure to join today in commemorating Mahatma Gandhi’s day of birth, celebrated across America and around the world by service to our neighbors and other good works. Gandhi’s commitment to create positive change, by bringing people together peacefully to demand it, resonate as strongly today as they did during his lifetime. Through the power of his example, and his own unshakable spirit, he inspired a people to resist oppression, sparking a revolution that freed a nation from colonial rule. In formulating his strategy to achieve freedom, Gandhi had a choice, and he chose courage over fear. He (Gandhi) inspired Dr. King, so if it hadn’t been for the non-violent movement in India, you might not have seen the same non-violent movement for Civil Rights here in the United States. He (Gandhi) inspired Cesar Chavez, and what was interesting was that that he (Gandhi) ended doing so much, and changing the world, just by the power of his ethics, by his ability to change how people saw each other and saw themselves – and help people who thought that they had no power realize that they had power, and then help people who had a lot of power realize that if all they are doing is oppressing people, then that’s not really a good exercise of power. Similarly, Gandhi’s integral non-violent leadership significantly transformed several prominent leaders around the world. What key valuable lessons for success can we learn from Mahatma Gandhi’s sustained commitment and heavy reliance on integral leadership? There are at least 6 major lessons that we can extract from our earlier theory guided review of life and sacrifices of Gandhi using integral leadership. Mahatma Gandhi had to awaken and build his own soul force and consciousness to a high and reliable state long before he could invoke and inspire a similar level of consciousness in others. This integral leader could not ask collective others to sacrifice what he himself was not willing to lay down individually. The best example of this is Gandhi first not eating sweet treats himself for 3 weeks before he asked a 9-year-old obese diabetic boy to do the same in order to save his own life. Another example is Mohandas Gandhi cleaning toilets himself before he asked his reluctant wife Kasturba Gandhi to do the same (Gandhi, 1968). Unfortunately, Gandhi waited many years to inspire his own oldest son to follow his father’s example of austerity and simple living. It clearly seems that Gandhi’s AQAL quadrant-4 integral leadership is asynchronous. He had to build the level of his individual consciousness to a high level well before he ventured to expect the collective others to do the same and follow his example. Gandhi’s example of integral leadership vividly illustrates that the development of the intangible individual consciousness of the leader, the development of collective consciousness of the followers, and the integration of their individual and collective consciousness together require a gradual step-by-step build up. Many times, Gandhi had to scale back his integral leadership that relied heavily on the freedom consciousness of Indian masses. Gandhi felt that the people collective was not yet ready to work with their soul force, and they succumbed to using violence against the violent oppressive actions of their colonial regime. It is apparent, at least in the case of Gandhi’s integral leadership, that developing and integrating individual and collective consciousness (and uniting their soul force together) can take many years, and even decades. Gandhi returned to India under colonial rule in 1915, after developing his own consciousness for non-violence in South Africa for over 21 years. India finally achieved independence under his leadership in 1947 after Gandhi launched Quit India movement in 1942. That is a 5-year journey for Quit India movement, and a 32-year period since Gandhi’s return to India in 1915, during which period Gandhi was steadfast in using first Quadrant-3, and after 1919 Quadrant-4 integral leadership for India’s independence. Can future integral leaders and their followers have this kind of steadfast commitment for as long as it takes to get to their vision for an integrated future? This journey may seem slow and endless to many impatient leaders in the East and the West. Relying on integral leadership may demand big personal sacrifices and enormous courage, which some leaders may not have. Mahatma Gandhi and his family members were acutely aware of these demands and risks from the day Gandhi launched his integral leadership in South Africa in 1893 under an oppressive apartheid regime. Attorney Gandhi was beaten up on the night he refused to sit on the footstool of the stagecoach buggy, and his consciousness and soul force was awakened and invigorated. In South Africa, Gandhi was often tortured and made to do hard physical labor in jail. Gandhi rarely protected himself from such attacks, and he always had violent threats looming over his head from the young age of 25 until his violent death in 1948. Are Millennial integral leaders and others in the 21st Century willing to make such sacrifices for their commitment to integration, and pay such heavy personal prices? The transformational impact of integral leadership may be far more an invisible symbolic victory, and much less tangible and measurable material victory that most leaders and their followers often seek. Gandhi’s focus often was not to defeat his oppressive opponent for some material gains but to change the heart of the oppressor (Erikson, 1969). This is a symbolic victory, with limited visible external outcomes. Even the transformed opponents may or may not be able to act immediately on such change of their hearts. Finally, there is no doubt that Gandhi’s integral leadership led to a highly visible freedom and liberation for 360 Million Indians. Its influence was highly visible and sustainable globally in that Gandhi’s integral leadership inspired many other integral leaders and sparked the liberation of a total of close to 1,000 Million people around the world, and free them from their oppression. Dr. Martin Luther King Jr. adapted Gandhi’s integral leadership to lead the Civil Rights movement in the United States. Cesar Chavez won better working rights for farm workers in California. Gandhi’s use of individual and collective soul force inspired Nelson Mandela in South Africa to lead the liberation of Africans and end the rule of apartheid in South Africa. Vaclav Havel led the Silk Revolution and overthrew the oppressive control of Soviet Union in Czechoslovakia. Similar influences of Mahatma Gandhi continued in other parts of the world including in the Philippines, and most recently in Myanmar and the Arab Spring movement in Egypt. Unfortunately, since Gandhi’s vivid success with integral leadership and non-violent soul force in the 1940s, and particularly in the past 20 years, the violence and the autocratic violence-based rule by leaders have grown in intensity rather than being diminished. Even during his own lifetime in the 1940s, as noted before, Gandhi saw repeatedly ruthless violence and killing of men, women, and children in the name of property, religion, or revenge. His own life ended violently. Can the influence and impact of integral leadership be lasting as well as transient? Future integral leaders must anticipate and take into consideration this paradox of success with integral leadership. The most important challenge we have with the research and application of integral leadership theory is its impact on success and outcomes. By definition and research design, the integration of the inner world in integral leadership makes the external quantitative measurements of externally measurable outcomes hard, if not impossible. Much of the significant influence of integral leadership may be internal. We, therefore, need a bigger acceptance and reliance on qualitative and anecdotal evidence of the impact and outcomes of integral leadership. The fickle, lasting as well as transient, impact and outcomes of integral leadership require more foundation building by practitioners. The short-term and long-term outcomes of integral leadership need to be clarified and communicated more crisply to all concerned. The integral leader must elaborate the higher purpose, and continuously reinforce it from time to time. Future researchers must keep in mind these considerations. The most successful outcomes of often the slowly evolving integral leadership, as vividly illustrated by Gandhi’s persistent reliance on it, may be inter-generational. This demands extended longitudinal research designs rather than our usual rush to use cross-sectional quantitative comparisons and statistical analyses. Finally, my last shout-out to the future researchers and practitioners of integral leadership is not to ignore the multi-disciplinarity of the discipline of integral leadership theory. Mohandas Gandhi broke the boundaries of many disciplinary silos and coalesced these open spaces to get to the success of liberation and freedom he sought for millions. Gandhi was educated as a legal expert in England. Almost by accident, he got involved in the politics and social justice of immigrant Indian workers in apartheid South Africa. There he developed his innovative style of human development as he mobilized thousands of Indian workers to protect their dignity and human rights. Back in India, while Gandhi tried to reform the colonial rule in India he realized that economics plays a key role in transforming human lives. Gandhi then became engaged in innovative ways for economic development as he promoted self-reliance of Indian villages by using cottage industries and homespun coarse cotton Khadi clothes. We see Gandhi break the boundaries of 5 – 6 disciplinary silos and fuse their knowledge space into powerful trans-disciplinary actionable wisdom. What would Gandhi do if he were alive today in the 21st Century, 70 years after his death? Would Gandhi use the same means and integral leadership style today as he used in the 1920s, 1930s, and 1940s? Perhaps yes, because of his deep faith in some of the underlying values of social justice, truth, and non-violence. But, perhaps no, because Gandhi was a mindful leader who was astute in reading the evolving times and shifting contextual circumstances (Gehani, 2011. Mindful Leader). He often fine-tuned his ways and means, and sometimes went back and forth. But, we know this for sure that if Gandhi were alive and able today, he would be courageous in communicating clearly and truthfully, what he authentically believed in. How many other leaders on world stage today are able to do that instead of resorting to half-truths? Whereas Gandhi’s integral leadership is still living in the hearts and minds of hundreds of Millions or even Billions of people around the world, very often it does not show clearly in the actions of Millions of other people around us who often rush to resort to use violence as their first response. Maybe they forgot, or maybe they were never fully persuaded by Gandhi’s integral leadership. Much more dedicated effort is needed from the proponents of integral leadership to move towards and beyond a tipping point to make a lasting difference in the world. In addition, a deeper understanding about execution of integral leadership is needed to save humankind from our own mayhem. Adams, J. (2011). Gandhi: The True Man Behind Modern India. New York, NY: Pegasus Books LLC. Avolio, B.J., Bass, B. M. & Jung, D. I. (1999). Re-examining the components of transformational and transactional leadership using the Multifactor Leadership. Journal of Occupational and Organizational Psychology, 72 (4), 441 – 462. Bass, B. M. (1998). The ethics of transformational leadership. In J.B. Ciulla (Ed.) Ethics, the Heart of Leadership. Westport, CT: Quorum. 169 – 192. Brown, R. (2010). Gandhi’s Spinning Wheel and Making of India. New York, NY: Routledge. Collins, J. (2001). Good to Great: Why Some Companies Make the Leap…and Others Don’t. New York: Harper Collins. Derue, D. S., Nahrgang, J.D., Wellman, N.E.D., & Humphrey, S.E. (2011). Trait and behavioral theories of leadership. An integration and meta-analysis test of their relative validity. Personal Psychology, 64 (1), 7 – 52. DiSalvo, R. J. (2013). MK Gandhi, Attorney at Law: The Man Before the Mahatma. Los Angeles, CA: University of California Press. Erikson, E.H. (1969). Gandhi’s Truth: On the Origins of Militant Nonviolence. New York, NY: Norton. Gandhi, M.K. (1968). The Selected Works of Mahatma Gandhi. The Voice of Truth. Vol. 6. (S. Narayan, Ed.) Ahmedabad, Gujarat: Navjivan Publishing House. Gandhi, M. K. (1983, 1925 – 1929). An Autobiography or The Story of My Experiments with Truth. (M. Desai, Trans.). London: Penguin Books. Gandhi, M. K., (1995, 1928). Satyagraha in South Africa. 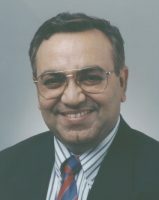 (V. G. Desai. Trans.). Ahmadabad: Navjivan Publishing House. Gardner, H., Czikszentmihalyi, M. & Damon, W. (2001). Good Work: When Excellence and Ethics Meet. New York: NY. Basic Books. Gehani, R. R. (1998). Management of Technology & Operations. New York: John Wiley & Sons. Gehani, R. R. (2002). Evolving Leader-Member Exchange (LMX) Theory and market-oriented lateral leaders in turbulent global markets. Marketing Management Journal, 11 (1, Spring): 35 – 48. Gehani, R. R. & Spears, S. (2009). Gandhi’s Relevance in Today’s Times. A 140th Birth Anniversary Remembrance. Cleveland: National Association of Asian-American Professionals. Gehani, R. R. (2011). Individual creativity and the influence of Mindful Leaders on enterprise innovation. Journal of Technology Management and Innovation, 6 (3): 82 – 91. Gehani, R. R. (2013). Strategic leader transforming from a low-cost strategy to product differentiation strategy. Journal of Technology Management and Innovation, 8 (2): 144 – 155. Kirkpatrick, S. A. & Locke, E. A. (1991). Leadership: Do traits matter? The Executive, 5 (2): 48 – 60. Kruse, K. 2013 (Sept. 4). What is leadership, Forbes, 2. Retrieved from http://www..orbes.com/sites/kevinkruse/2013/04/09/what-is-leadership. Leithwood, K.A. & Riehl, C. (2003). What We Know About Educational Leadership. Nottingham: National College for School Leadership. 4. McCall, M. W. (2004). Leadership development through experience. Academy of Management Executive. 18 (3), 127 – 130. Metcalf, M. & Paluck, D. (2010). The Story of Jill – How an Individual Leader Developed into a “Level 5” Leader. Integral Leadership Review, July. Myers, S. R. & Groh, J. (2010). The future of strategic leader development at the U.S. Army War College. Integral Leadership Review. April. Pauchant, T. C. (2005). Integral leadership: A research proposal. Journal of Organizational Change Management, 18(3), 211 – 229. Volckmann, R. (2012). Integral Leadership Collaborative call with Ken Wilber. Integral Leadership Review, June 08. Wilber, K. (1974). The spectrum of consciousness. Main Currents in Modern Thought, 31 (3): 15 – 21. Wilber, K. (1977). The Spectrum of Consciousness. New York: Quest Books. Wilber, K. (2000a). A Theory of Everything. Boston, MA: Shambhala. Wilber, K. (2000b). Integral Psychology: Consciousness, Spirit, Psychology, Therapy. Boston, MA: Shambhala. Wilber, K. 2007. Integral Spirituality: A Startling New Role for Religion in the Modern and Postmodern Worlds. Boston, Massachusetts: Shambhala Publications. Ray Gehani has earned a Doctorate in Polymer Science & Engineering from Tokyo Institute of Technology on a Japanese Government fellowship, and a Ph.D. in Business from the City University of New York (and Columbia University). At the University of Akron, he has taught a variety of courses in Management of Technology and Innovation, Corporate Business Strategy, Supply Chain Management and Strategy, and International Business Operations at either Ph.D., executive, graduate or undergraduate level. He is a Fellow of the Fitzgerald Institute for Entrepreneurship in the College of Business, and a Fellow of the Intellectual Property Center in the School of Law.